This week’s notable decision is an upset out of the Eighth Circuit Court of Appeals in the matter of Whitley v. Standard Insurance Company, No. 15-1524, involving the denial of long-term disability benefits. The court reversed the district court’s grant of summary judgment in favor of the Plaintiff-Appellee, an emergency room physician disabled by post-concussive disorder. 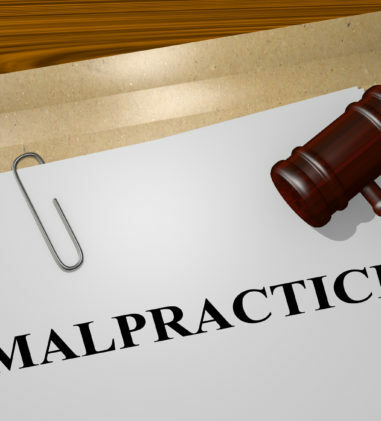 The court found that there were conflicting expert opinions and where there is a conflict between a claimant’s treating physicians and the administrator’s reviewing physicians, the administrator has discretion to deny benefits unless the record does not support denial. 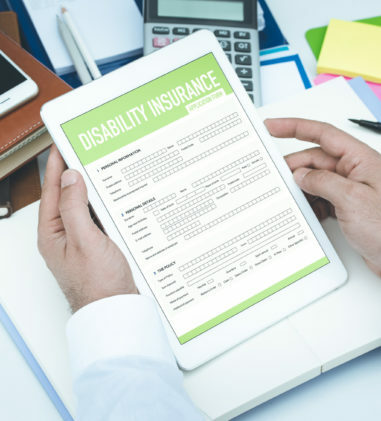 Notwithstanding the Whitley decision, this past week saw a few decisions finding that insurance companies abused their discretion in denying long-term disability claims. District court decision in favor of long-term disability claimant reversed and remanded. Whitley v. Standard Ins. Co., No. 15-1524, __F.3d___, 2016 WL 853298 (8th Cir. Mar. 4, 2016) (Before LOKEN, MURPHY, and COLLOTON, Circuit Judges). The Eighth Circuit reversed and remanded the district court’s grant of summary judgment in Plaintiff-Appellee’s favor. Plaintiff-Appellee is a long-term disability plan participant who claims disability as a result of post-concussive disorder. The parties disputed whether Plaintiff’s “Own Occupation” was family medicine physician rather than an emergency room physician. On the standard of review, the Eighth Circuit found that Plaintiff presented no evidence that Standard’s claims review process was biased, and the record established that the medical professionals who reviewed Plaintiff’s claim were independent consultants, not Standard employees, and that their compensation was not based on their findings. The court found that these circumstances reduced the financial conflict factor “to the vanishing point.” The district court first ruled that Standard abused its discretion in determining that Plaintiff’s Own Occupation was family medicine, not emergency medicine, but the Eighth Circuit disagreed. Although Standard’s initial decision was based in part on a determination that Plaintiff’s Own Occupation was family medicine, the Eighth Circuit concluded that Standard’s final decision took into consideration Plaintiff’s ability to work in an emergency room setting. As to the main issue, the district court concluded that Standard abused its discretion in discontinuing benefits because its “consulting physicians totally dismiss, without support, the recommendation of Whitley’s treating physicians that she should return to work on a part-time basis, with supervision, to determine whether or not she can perform her job duties.” The Eighth Circuit found that there were conflicting expert opinions and where there is a conflict between a claimant’s treating physicians and the administrator’s reviewing physicians, the administrator has discretion to deny benefits unless the record does not support denial. The court concluded that in view of the conflicting opinions contained in the administrative record, Standard’s decision to deny Plaintiff’s claim based on its “independent consultants” was not an abuse of discretion. No equitable estoppel where no reasonable reliance on representations inconsistent with plain language of certificate of coverage. Johnson v. United Healthcare of Texas, Inc., No. 7:15-CV-49-DAE, __F.Supp.3d___, 2016 WL 929324 (W.D. Tex. Mar. 10, 2016) (Judge David Alan Ezra). Plaintiffs brought suit against United Health for failing to pay for long term post-acute care, skilled nursing care, rehabilitative therapy and institutional and home-based convalescence, in order to recuperate from two craniotomies. 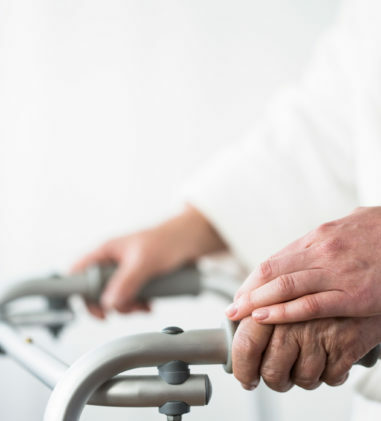 The court found that United Health did not abuse its discretion in denying additional coverage beyond the Certificate’s 60-day limits for Plaintiff’s post-acute rehabilitation and skilled nursing services. On Plaintiff’s equitable estoppel claim, the court found that even assuming the United Health employees misrepresented a material aspect of the Certificate and that Plaintiffs relied on the representation to their detriment, any such reliance was not reasonable since the plain language of the Certificate provides the limits on coverage. The Certificate also provides that no one has the authority to make any oral changes or amendments to the Policy. As such, the court found that Plaintiffs’ ERISA-estoppel argument fails because they cannot establish all elements of the claim. Football Degenerative benefits awarded to retired football player with diffuse axonal injury. Solomon v. Bert Bell/Pete Rozelle NFL Player Ret. Plan, No. CV MJG-14-3570, 2016 WL 852732 (D. Md. Mar. 4, 2016) (Judge Marvin J. Garbis). The court found that the Bert Bell/Pete Rozelle NFL Player Retirement Plan and the NFL Player Supplemental Disability Plan abused its discretion in denying Plaintiff “Football Degenerative” benefits, which are paid for disabilities stemming from a player’s football career that manifest within 15 years of retirement. The Plan had awarded Plaintiff the lesser “Inactive” benefits, which are paid for disabilities not stemming from a player’s football career, or if stemming from a player’s football career, that did not manifest within 15 years of retirement. The court found the evidence support Plaintiff’s claim for Football Degenerative benefits to be “overwhelming,” including an MRI showing white matter changes in the deep white matter of both parietal lobes, medical records and letters detailing Plaintiff’s impairment, and Plaintiff’s diagnosis of diffuse axonal injury. Although ordinarily a court finding improperly denied benefits would remand the case for further proceedings, neither party sought a remand so the court awarded benefits to Plaintiff. Plan fiduciaries properly delegated discretionary authority to Aetna to review long-term disability appeals. Dwinnell v. Fed. Express Long Term Disability Plan, No. 3:14-CV-01439 (JAM), 2016 WL 901562 (D. Conn. Mar. 9, 2016) (Judge Jeffrey Alker Meyer). The parties cross-moved for partial summary judgment on the standard of review applicable to Plaintiff’s long-term disability claim. Here, Plaintiff claimed that no deferential review should apply in this case because Aetna was not properly appointed with fiduciary authority under the Plan to conduct the administrative appeal review of the denial of her claim. The FedEx Plan delegates key responsibilities to four different entities: (1) the Administrator, (2) the Committee, (3) the Claims Paying Administrator, and (4) the appeal committee. The company’s Retirement Plan Investment Board approved a proposal to outsource remaining long-term disability appeals to Aetna in July 2008. Plaintiff argued that the procedures followed were not sufficient to constitute a valid appointment of Aetna as the appeal committee under the Plan. The court concluded that the Plan allowed the Administrator to appoint the appeal committee and that it allowed the Administrator to appoint Aetna as the appeal committee. Although it was the Retirement Planning Investment Board-and not the Administrator-that approved the selection of Aetna, the court concluded that the Committee was within its own delegated authority from the Administrator when it acted upon the recommendation of FedEx management personnel to approve Aetna to serve in place of the Benefit Review Committee as the appeal committee. This is because Section 6.2 of the Plan identifies the Committee as a named fiduciary under the Plan, with responsibility “to perform the administrative duties hereunder” and to assume “general administrative power” over the Plan and “with such other powers as may be necessary to perform its duties hereunder” the Plan. 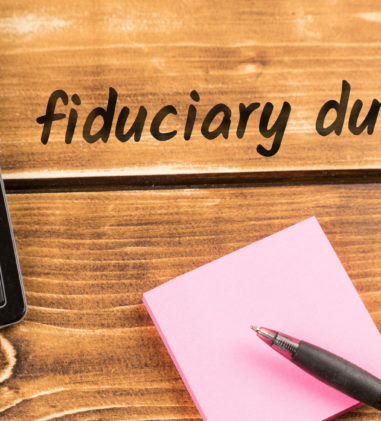 The court concluded that as a matter of law that Aetna was validly appointed as the appeal committee with fiduciary and discretionary authority in that capacity under the Plan and granted Aetna’s motion. Insurer abused its discretion and remand is appropriate remedy for insurer to consider SSDI award. Green v. Sun Life Assurance Co., No. 14 C 4095, 2016 WL 861236 (N.D. Ill. Mar. 7, 2016) (Judge John Z. Lee). In this case, Plaintiff, a former pharmaceutical representative, became disabled by occipital neuralgia and neck pain, as well as depression and anxiety. The court held that Sun Life abused its discretion in denying Plaintiff’s claim for long-term disability benefits, but remanded the claim back to Sun Life for further determination. The court found that Sun Life failed to adequately explain why Plaintiff was not continuously unable to perform the essential tasks, functions, skills, or responsibilities of her occupation during the 180-day Elimination Period and the subsequent twenty-four months. Additionally, Sun Life did not explain why it rejected the SSA ALJ’s determination that Plaintiff was disabled even though the notice of award of SSDI benefits, the SSA claim file, and the ALJ’s determination were in the administrative record. The court found that this was not a “clear cut case” and on remand Sun Life should review the SSA claim file and the ALJ’s rationale and determine whether the combined effects of Plaintiff’s physical and psychological impairments, as well as the medications used to treat them, caused her to be totally disabled during the time period in question. Abuse of discretion for failing to consider effect of narcotic use on RN license and claimant’s age and lack of computer skills. Mackey v. Liberty Life Assurance Co. of Boston, No. 3:15-CV-3004, 2016 WL 915271 (W.D. Ark. Mar. 7, 2016) (Judge Timothy L. Brooks). The court determined that Liberty Life abused its discretion in denying “any occupation” long-term disability benefits to a claimant who had worked as a registered nurse for twenty years. Specifically, the court found that Liberty Life abused its discretion by failing to accept or investigate a vocational analyst’s claim that mere use of narcotics prohibited Plaintiff from utilizing her RN license. 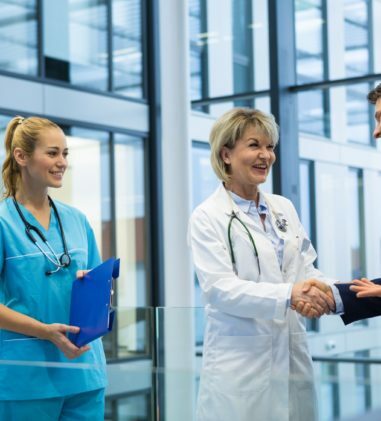 The vocational analyst had contacted an employee of the Nursing Board who interpreted a regulation implementing the Nurse Practice Act of Arkansas as prohibiting nurses from taking controlled substances during working hours. Liberty Life disregarded this interpretation and found that Plaintiff would only be prohibited from utilizing her RN license if her narcotic usage created a secondary impairment. The court found that the proper remedy is to remand the case to Liberty Life for further evaluation. On remand, the court instructed Liberty Life must either obtain proof of a different interpretation from the Nursing Board, or defer to the Board employee’s interpretation of the regulation. Liberty Life must also thoroughly consider how Plaintiff’s age and lack of computer skills would affect her ability to become reasonably fitted to perform the material and substantial duties of the occupations identified by Liberty Life’s vocational report. State whether MetLife had, at any time relevant to this case, any type of incentive, bonus, or reward program or system, formal or informal, based on the value or number of medical and/or disability claims that are denied or terminated, for any employees involved in any meaningful way in reviewing medical claims, and please describe what factors and information is relied upon to calculate any such bonuses. For any MetLife employees involved in any meaningful way in reviewing Mr. Proffitt’s disability claim, including the employees who signed the denial letters, please provide copies of any documents which show any type of incentive, bonus, or reward program or system, formal or informal, based on the value or number of medical and/or disability claims that are denied or terminated, for said employees, and all documents showing how such bonus was calculated. Lastly, the court found that three requests to admit or deny were outside the scope of ERISA discovery and MetLife need not respond to them. 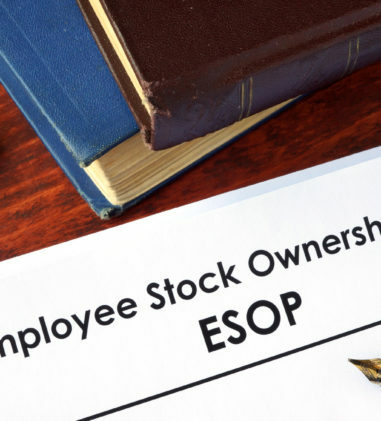 Salary Continuation Agreement is an ERISA-governed plan. Shepherd v. Cmty. First Bank, No. 8:15-CV-4337-MGL, 2016 WL 865334 (D.S.C. Mar. 7, 2016) (Judge Mary G. Lewis). 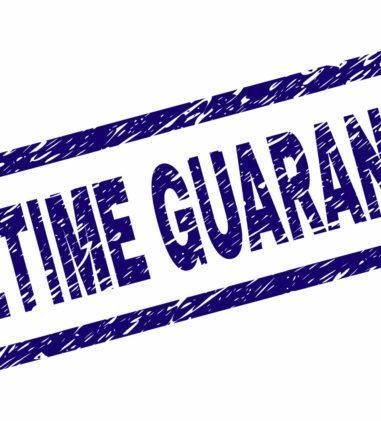 The issue in this case is whether a “Salary Continuation Agreement,” which was “maintained primarily to provide supplemental retirement benefits” to Plaintiff, including the provision of an annual payment of $210,000.00 in monthly installments to commence after Plaintiff’s 71st birthday and to continue for 20 years, is an ERISA-governed plan. The court concluded that it is. Although, the plan at issue here makes no reference whatsoever to either § 415 or its substantive provisions, it does include the following language: “This Salary Continuation Agreement…is entered into… to encourage the Executive [the Plaintiff] to remain an employee of the Bank.” And, it provides Plaintiff the “right to bring a civil action under ERISA section 502 (a) following an adverse benefit determination.” The court concluded that the Plan is not “an excess benefit plan” enacted solely to avoid the contribution limits of § 415 but rather a benefit plan for a high value employee-a bank President and CEO-created as a means to entice the individual to remain in his post and subject to ERISA’s enforcement provisions. Based on this, the court denied Plaintiff’s motion to remand and for attorneys’ fees because his state law claims are completely preempted. State-law causes of action for life insurance benefits are preempted by ERISA and failure to exhaust defense reserved for summary judgment. Laitinen v. Sun Life Assurance Co. of Canada, No. 2:15-CV-144, 2016 WL 890337 (W.D. Mich. Mar. 9, 2016) (Judge Robert Holmes Bell). Plaintiff brought state-law causes of action for Sun Life’s failure to pay an additional $10,000 benefit for accidental death under an ERISA-governed group term insurance policy. Sun Life moved to dismiss on the basis of ERISA preemption and failure to exhaust. The court found that the state law claims raised in Plaintiff’s complaint are, in reality, claims arising under ERISA and, thus, are completely preempted. But instead of dismissing Plaintiff’s claim, the court granted Plaintiff the right to amend his complaint and expressly assert ERISA claims. The court also found that Defendant’s argument that Plaintiff has failed to exhaust administrative remedies may be meritorious on a motion for summary judgment, but it is not properly before the court at this stage since it is an affirmative defense and it is Defendant’s burden to establish affirmative defenses. Lastly, the court declined to award Sun Life $6,000 in attorneys’ fees and costs. Motion for reconsideration denied in matter where court found that acceptance of Workplace Injury Settlement Program waived right to sue employer for negligence. Castillo v. Tyson Foods, Inc., No. CV H-14-2354, 2016 WL 865358 (S.D. Tex. Mar. 7, 2016) (Judge Lee H. Rosenthal). Plaintiff moved for reconsideration of this court’s order granting summary judgment for the defendants, where the court determined that Castillo’s choice to participate in the company’s Workplace Injury Settlement Program and to accept payment under that program for her workplace injury waived her right to sue Tyson for negligence. The court had found that Tyson showed that the waiver defense applied, and that Plaintiff had not raised a factual dispute material to determining that the waiver was neither procedurally nor substantively unconscionable. On the present motion, Plaintiff argued that the court manifestly erred by preempting her negligence claim under ERISA. Although Plaintiff did not challenge the court’s holding that she waived her right to sue under the Texas Worker’s Compensation Act, Plaintiff contended that the court manifestly erred in not finding unconscionability under state or federal common law. The court denied Plaintiff’s motion for reconsideration. The court explained that it did not find her negligence claim preempted by ERISA, rather, the court had assumed that Plaintiff could pursue the challenge, but found that she had not carried her burden to show that the state-law unconscionability defense applied. Further, the court assumed that the state law on unconscionability governed but found that Plaintiff had not shown that it made her waiver unenforceable. The court concluded that Plaintiff did not show that the Plan or Program terms lacked a legitimate commercial justification or that they were so shocking and devoid of substantial benefit to her to make the entire plan unconscionable and the waiver unenforceable under Texas law. Telephone calls changing legal beneficiary in the absence of written confirmation do not constitute a strict or substantial compliance with governing plan documents. Becker v. Carmen Stephanie Mays-Williams, No. C11-5830 BHS, 2016 WL 878492 (W.D. Wash. Mar. 8, 2016) (Judge Benjamin H. Settle). 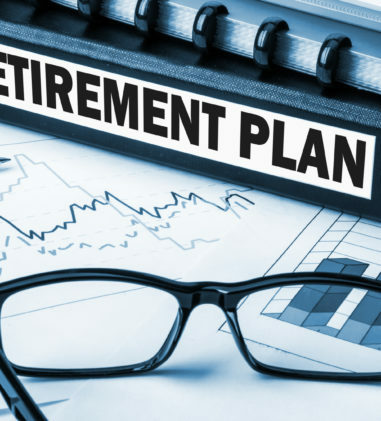 The issue in this case is who is the legal beneficiary to Asa Sr.’s Xerox Retirement Income Guarantee Plan (“RIGP”) and the Xerox Savings Plan (“Savings Plan”) benefits. 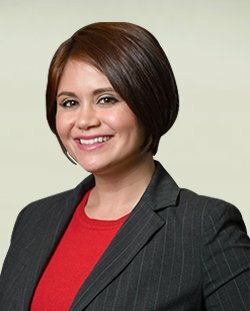 Plaintiff, the fiduciary of the Plans, initiated an interpleader action to resolve a dispute between Asa Jr. (the son), and Carmen (the former wife). A Ninth Circuit panel remanded for the court to determine whether Asa Sr. “strictly or substantially complied with the governing plan documents” by telephoning his beneficiary change. The court found that the Plans fail to provide any mechanism for how a beneficiary change may or should be made, but the problem with Asa Jr.’s position is not the type of communication, but rather the lack of any clear and unequivocal communication. First, Asa Jr. failed to establish that Asa Sr. was the individual who called Xerox to change the beneficiary designation and it is reasonable for Xerox to require written verification of the designation change to avoid fraudulent transactions. Second, after each of the three phone calls, Xerox sent Asa Sr. an authorization form, asking Asa Sr. to “validate” the beneficiary change requested in the phone call but he did not do so. There was no evidence presented as to why Asa Sr. failed to comply with the plan administrator’s directives when he did not die for more than three months after he was reminded by Xerox what he must do to effectuate the beneficiary change. Third, the court found that there was substantial and credible evidence showing that Asa Sr. would not have made the alleged change of removing Carmen in favor of Asa Jr. Although Asa Sr. and Carmen were divorced, in the years following the divorce they had an ongoing positive relationship. The court concluded that Asa Jr. failed to meet his burden of proving that Asa Sr. strictly or substantially complied with the governing plan documents in order to change the beneficiary of the Plans, failed to prove that Asa Sr. unequivocally manifested an intent to change his beneficiary, and failed to prove that Asa Sr. did all that was reasonably possible to do to effectuate a change. Therefore, the court found that the designation naming Carmen controls and she is entitled to be paid the benefits. Former employee required to arbitrate profit sharing plan claims based on terms of settlement agreement. Fusco v. Plastic Surgery Ctr., P.A., No. 2:15-CV-460-DBH, 2016 WL 845263 (D. Me. Mar. 4, 2016) (Judge D. Brock Hornby). The court granted Defendants’ motion to stay and compel arbitration of Plaintiff’s claims for profit sharing plan benefits and attorneys’ fees. Plaintiff had entered into a settlement agreement which required that any dispute involving any aspect of Plaintiff’s employment relationship with her former employer be subject to binding arbitration if requested by either party. The settlement agreement did not release Plaintiff’s claim for profit sharing plan benefits. The court noted that Circuit precedents overwhelmingly support the conclusion that ERISA rights can, by agreement, be subjected to arbitration. Although Plaintiff did not settle her ERISA claims in the settlement agreement, the court found that she agreed to submit them to arbitration. At the very least, the scope of her settlement agreement is ambiguous and the arbitrator gets to decide the scope of the arbitration clause. Failure to arbitrate results in waiver of right to contest withdrawal liability. Dairy Employees Union Local No. 17 v. Dairy, No. 13-57143, __Fed.Appx.___, 2016 WL 851624 (9th Cir. Mar. 4, 2016) (Before CALLAHAN and N.R. SMITH, Circuit Judges, and RAKOFF,*Senior District Judge). The court affirmed the district court’s grant of summary judgment determining that Dairy owed withdrawal liability to Dairy Employees Union Local No. 17 Christian Labor Association of the United States of America Pension Trust. The court found that Appellant waived its right to contest withdrawal liability in federal court by failing to arbitrate. 180-day limitations period to bring a civil action is reasonable. Smith v. The Boeing Co., No. 3:15-CV-2533-D, 2016 WL 892749 (N.D. Tex. Mar. 9, 2016) (Judge Sidney A. Fitzwater). Plaintiff challenged Boeing’s determination to not pay her spousal benefits because she was not listed as his spouse at the time of his retirement. In denying her claim, Boeing informed Plaintiff that she had the right under ERISA to appeal this determination, and, if the decision on appeal was adverse to her, to file a civil action under ERISA § 502(a) no later than 180 days following the decision on appeal. 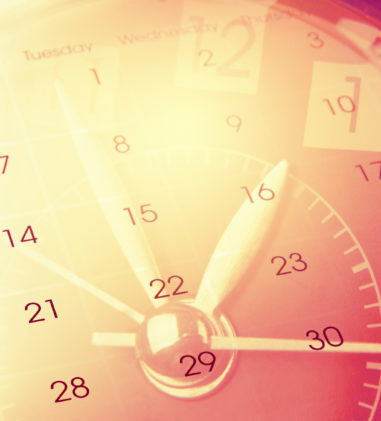 Plaintiff timely appealed the decision to Boeing’s Employee Benefit Plans Committee and the Committee upheld the denial of benefits. 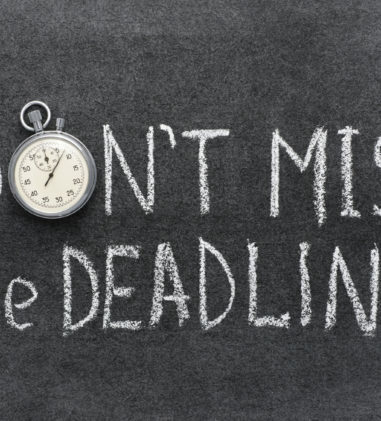 The Committee advised Plaintiff that she had the right to bring a civil action under ERISA § 502(a) within 180 days following the decision on appeal but she did not do so for more than five months following the Plan’s deadline. Plaintiff did not dispute that the Plan required her to bring a claim within 180 days, or that she was aware of the limitations provision. On Boeing’s motion to dismiss, the court found that Plaintiff’s action is barred by limitations and that the 180-day limitations period for bringing a civil action is reasonable. As such, the court dismissed the action with prejudice. Disability insurer did not waive right to enforce plan terms and agreement regarding overpayment due to other income benefits. Smith v. Liberty Life Assurance Co. of Boston, No. 4:14-CV-00495-CWD, 2016 WL 866299 (D. Idaho Mar. 3, 2016) (Magistrate Judge Candy W. Dale). In this case, Plaintiff, a long-term disability claimant, challenged Liberty Life’s right to withhold her disability payments to satisfy an overpayment on her claim resulting from her receipt of retroactive Social Security Disability Insurance (SSDI) benefits. Plaintiff had previously resolved a subrogation lien Liberty Life had on her claim for money she received from a third party for her injuries. Plaintiff argued that Liberty Life waived its ability to enforce the policy’s subrogation provision against her based on its previous agreement to “waive [its] short term and long term subrogation amounts.” The court found that Liberty Life did not waive its right to seek reimbursement for the SSDI award. Liberty Life previously resolved its subrogation claim under Section 7 of the policy but its right to withhold payment of benefits due to the SSDI award falls under Section 4 of the policy covering “Other Income Benefits.” Also, Plaintiff had signed a reimbursement agreement, wherein she agreed that in exchange for Liberty Life not reducing her LTD benefits by an estimated SSDI award, Plaintiff would pay back any overpayment of LTD benefits resulting from a future SSDI award.